We list below just a few of the major commissions and projects completed by Breslin since our establishment in 2010. Space, commercial confidentiality and the on-going status of some contracts and commissions means that we do not summarise every project here, or that we can represent every aspect of our work, but these summaries do give a sense of both our specialisms and the diversity of our activity. We envisage that these exemplars will prove useful to those who are considering undertaking or commissioning similar policy or practice related work. We are happy for prospective partners to make enquiries to the referees cited about the project concerned. We can provide contact details, additional referees or further detail about specific projects upon request. Breslin is currently undertaking a range of projects with the RSA, and notably the Director of its Creative Learning and Development Team, Joe Hallgarten. 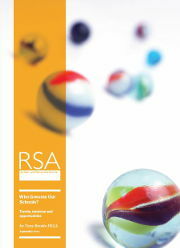 Tony Breslin is leading on two RSA initiatives – the first to establish what it is hoped will become a National Commission on the Future of School Governance, and the second, the production of a new paper in the RSA’s Power to Create series on the future of lifelong learning, a piece of work that is being delivered in partnership with the Learning and Work Institute. Breslin is responsible for developing each project to final form, fundraising to ensure there is the capacity to deliver both initiatives, and building the networks that will ensure that key stakeholders are involved and multiple dissemination routes are available. Breslin has had a consultancy relationship with CUP that dates back to 2013. 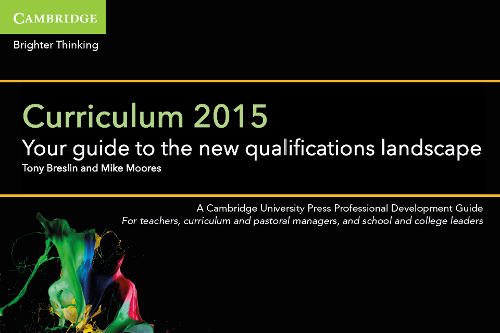 This has involved advising the business on the relaunch of their school-facing publications in the UK, which targets the secondary phase and notably young people on GCSE and A level courses. 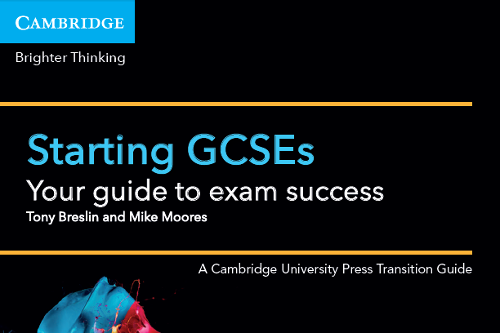 During 2015 Tony Breslin and Mike Moores produced a series of three widely circulated and well received booklets – two to support young people and their parents as they embark on GCSE, AS and A level courses – Success at GCSE: your guide to exam success and Success at A level: your guide to exam success – and one to support teachers, curriculum managers and school and college leaders as they approach the introduction of revised and restructured GCSE, AS and A specifications and a set of reforms to funding models, performance tables and inspection frameworks, being progressively introduced from September 2015, Curriculum 2015: your guide to the new qualifications landscape. Breslin worked with the newly formed Board of Trustees at the Orwell Youth Prize to develop, launch and rollout the first pilot of the prize to a group of schools in Hertfordshire and Oxfordshire. The programme has two strands of activity – the prize itself and a series of workshops that engage professional journalists and authors with young people, typically aged 14-19, in an exploration of the nature of political writing. The Orwell Youth Prize is inspired by the longstanding and prestigious Orwell Prize which celebrates political writing. Tony Breslin served as the Director of the pilot and advised the Board on its structure and marketing. The Orwell Youth Prize and its associated workshop programme is now in its second year and is led by Michael Callanan, a teacher and freelance consultant, and an expert in the teaching of English who is now based at Parmiters School in Hertfordshire. Michael Callanan was introduced to the Orwell Youth Prize by Tony Breslin and played a leading role in the pilot project, working with a group of students from Rickmansworth School in Hertfordshire, where he was Head of English. Breslin responded to an invitation to pitch proposals for the celebration of BERA’s 40th anniversary with the idea of identifying and summarising in a single publication 40 pieces of educational research that have had a real impact on education theory, policy or practice in the UK and/or elsewhere. 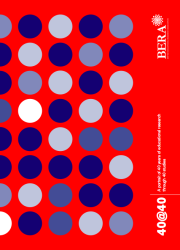 The result was the publication at BERA’s annual conference in September 2014 of 40@40: a portrait of 40 years of educational research through 40 studies. 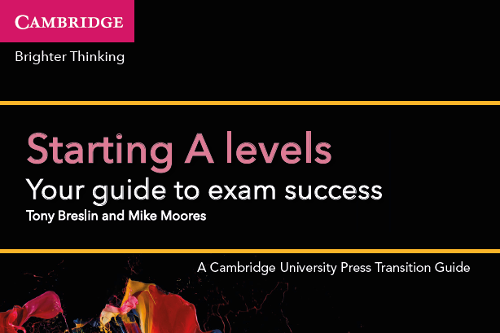 Written by Tony Breslin and Mike Moores, the 80 page booklet includes a summary of each of the 40 selected studies and a four chapter summary outlining the policy climate in each of BERA’s four decades. Breslin designed the process for selecting the studies and worked with a BERA advisory group to implement the selection process, before producing the text. Breslin was commissioned by the British Educational Research Association (BERA) and the Royal Society for the encouragement of the Arts, Manufactures and Commerce (RSA), both of whom we have worked with on other projects over the past 12 months, to draft the Final Report of the Steering Group of the BERA-RSA Inquiry into the Role of Research in Teacher Education. Tony Breslin worked with members of the Steering Group, a team consisting of some of the UK’s most eminent educationalists, in structuring and drafting the 45 page document, Research and the Teaching Profession: Building the capacity for a self-improving education system: Final Report of the BERA-RSA Inquiry into the role of research and the teaching profession, which was published in May 2014. Breslin was commissioned by Adoption UK, the leading membership body in the adoption field, to carry out research amongst its members into their understanding, use and view of its membership offer and the kind of directions taken by the charity as it responds to and anticipates a fast-changing policy field. Work included the analysis of existing survey data and the staging of a series of Focus Groups, resulting in the production of a report written by Breslin Senior Reaeach Associate, Kevin Harris, Adoption UK: the experience of membership. Tony Breslin is a Trustee of Adoption UK and supported Kevin Harris in the delivery of this contract on a voluntary basis. Germany based Beyond Philanthropy, the leading corporate responsibility and philanthropy specialists, commissioned Breslin as one of a series of partners to assess the impact of the Ford Motor Company’s Corporate Social Responsibility strategies in each of its European production locations. Ford had commissioned Beyond Philanthropy to carry out the Europe-wide review. Breslin assessed Ford’s approach to CSR in the UK, notably its work in education and, specifically, its activities to support the so-called STEM agenda – teaching and learning in the Sciences, Technology, Engineering and Mathematics. We delivered a presentation-based report that assessed UK CSR opportunities for a corporation of this type, assessed the strategies of key competitors and made recommendations as to how Ford in the UK might position itself, both as a responsible business concerned to make a positive and ongoing social impact, and in terms of the current education and CSR policy climate in the UK. Breslin assessed where Ford might act, what it might do, and how it might marry any intervention with business, employee and community development across all education phases. Breslin was commissioned by the Office of the Children’s Commissioner (OCC) to design and deliver a consultation with young people, aged 7-21, on their experiences of coping with poverty. This, in turn, was to inform OCC’s submission to a wider government consultation on the issue being carried out at that time. This involved building on our relationships in the youth, community and education sectors to identify and recruit approximately 50 young people to an event at Central Hall Westminster staged in February 2013, which we managed and delivered and which brought the young people into face-to-face contact with senior figure’s in children’s policy, including the then Children’s Commissioner, Maggie Atkinson, and officials and advisers working on the child poverty review. As a result, we produced interim and final reports for OCC, the latter entitled, Young people talking about poverty: report of a consultation event organised for the Office of the Children’s Commission, which directly informed OCC’s discussions with and submission to ministers. The work also inspired a second Breslin Public Policy published paper, A Series of Doors: young people talking about the experience of poverty, in which we seek to capture the young people’s experiences of poverty in their own words. This paper has been widely cited, and was featured on the website of the All-party Parliamentary Group on Poverty. Both papers were co-written by Tony Breslin and Kevin Harris. Following our work with the BOA and the BPA, the London Organising Committee of the Olympic and Paralympic Games (LOCOG) asked Breslin to work with it on the delivery of various aspects of the Get Set education programme in the run up to, during, and in the immediate aftermath of the London Games. Tasks included the management of the Plan Your 2012 programme, producing an evaluation of Get Set based on a series of ‘deep dive’ interviews carried out by another LOCOG partner, producing a set of legacy case studies based on schools’ participation in the Get Set programme, staging and reporting on a sereis of focus groups on teachers’ experiences of Get Set, and planning and delivering a 600 delegate conference in Central London to mark LOCOG’s handover of the programme to the BOA and the BPA in October 2012. The British Paralympic Association (BPA) worked with the BOA, LOCOG and other partners to deliver London 2012 and after the Games took on ownership, with the BOA, of the acclaimed London 2012 education programme, Get Set, developed by LOCOG. Our task was to research and produce a report, Securing the place of paralympic sport on the London 2012 educational legacy: the outline case for an integrated approach and an initial analysis of existing provision, on the nature and implications of their proposed future co-ownership of Get Set. The British Olympic Foundation (BOF) is the charitable arm of the British Olympic Association (BOA). Breslin was appointed as strategic adviser to the Foundation on securing the education and youth engagement legacy arising from the London 2012 Olympic and Paralympic Games. Tasks included the carrying out of extensive primary and secondary research, including interviews with a range of London 2012 stakeholders: teachers, community support professionals and senior civil servants. This work led to discussions with the London Organising Committee for the Olympic and Paralympic Games (LOCOG) and the British Paralympic Association about future projects, which are detailed above , and the production of a report, Building on the success of Get Set: securing the London 2012 educational legacy – rationale, business case and outline budget. Every year thousands of young people are recognised for their contribution to society and to their communities through the Diana Award programme. Breslin’s work with the Senior Leadership Team at the Diana Award, on an appraisal of their Alumni framework, led to the creation and launch of the Diana Network. The Network provides opportunities for Award Holders to build on their success by connecting them with other young people who have undertaken fantastic work to improve the lives of others in a range of settings, and by opening up opportunities for their ongoing personal and professional development. 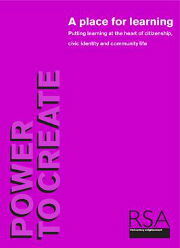 Creativity, Culture and Education England (CCE) are best known for their groundbreaking work in leading the Creative Partnerships initiative in primary and secondary schools, which engaged at least 5,000 schools between 2002 and 2011. Breslin was commissioned to explore the ways in which CCE might build upon the excellent arts and creativity focused networks established through Creative Partnerships and related programmes. The result was the well-received report, Beyond Partnership?, published in June 2011.
vInspired is the UK’s leading youth volunteering charity and is committed to supporting young people’s engagement and participation in a range of settings. Breslin was commissioned to assess the implications of an earlier scoping study that evaluated the need for further longitudinal research on the impact of volunteering on a range of issues including educational engagement, personal development and community wellbeing. Working with longitudinal expert Professor David Kerr at the National Foundation for Educational Research, we researched the need for a sector-wide response to the lack of understanding on this issue. The result was the establishment of the Volunteering Knowledge Network, launched at the Rotyal Society of Arts in May 2011. The Bridge Group was established in 2010 and is composed of leading figures in HE admissions, widening participation and entry to the professions that is committed to harnessing the power of Higher Education to increase social mobility. Breslin worked with Bridge on the initial development of their strategic direction, producing a detailed report, Social Mobility, Higher Education and the Professions: practical barriers and strategic options, that summarised and built on their launch seminar that brought together many of the most influential figures in the field. Our report collated and interpreted the discussions at and arising in the aftermath of the seminar and framed a set of recommendations and suggestions.